The good: Noodles still with bite, and the sauce was all right. Tasty sambal chili. The bad: Probably my bad luck today but the char siew was in thin, dry slices, nothing like the richly glazed, deeply caramelized fatty strips hung on display. The wantans were dried out dumplings. The ugly: styrofoam plate! So environmentally salah (wrong)! 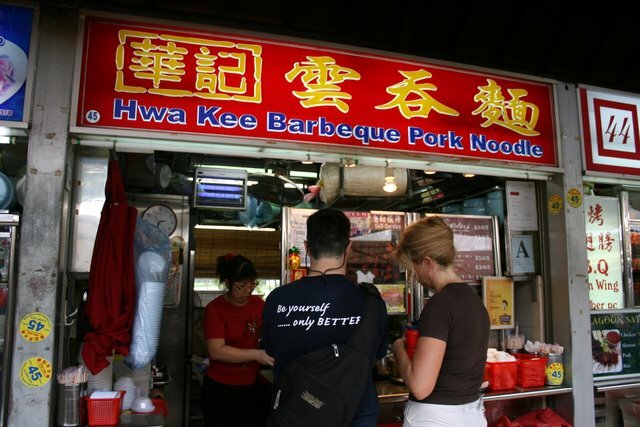 So this is the famous Hwa Kee. I vaguely remember trying them once before the big renovation in 2003. Enjoyed them better then. Fortunately, I didn't have to queue much for it this time (past 3pm on a Sunday). Guess that's already off-peak hours or their popularity has waned. I think its popularity has waned by quite a bit. I don't see lines forming at both the wanton noodle stall and the beef noodle stalls as much anymore. Don't get me wrong, there's still the occasional line at the beef kway teow shop cos the guy's not exactly fast but it's not as long as it used to be. They switched to using one of those ham slicing machines to slice their char siew ever since the hawker centre's renovation, instead of slicing the char siew manually. I think the char siew has become a bit drier since then and has lost that nice thick crunch when they're manually sliced. The pork do appear dry. Never tried this stall. Usually I patronize the one at the old OLD AIRPORT ROAD food center or the one near Jln Batu market. The latter was still selling at $2 per plastic plate of wonton noodles when I was there early this year. Hmmmm...I wonder if that stall has increased the price of their wonton noodles. ah, that time i went lagoon my friend ordered this. Its very famous and always have a long q yeah? 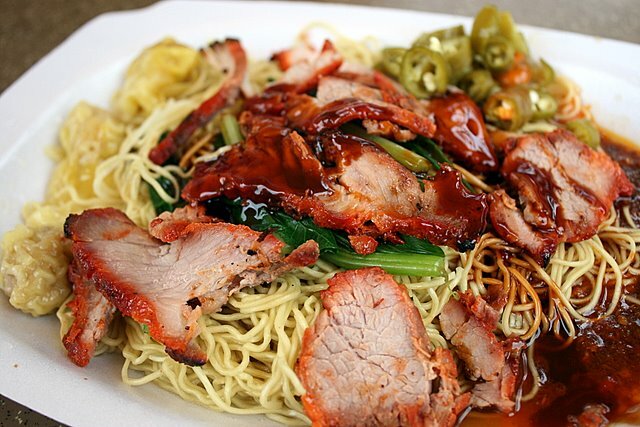 wantan mee must go with melamine plate is it? I was there last night (Friday night), and the food centre was really crowded. 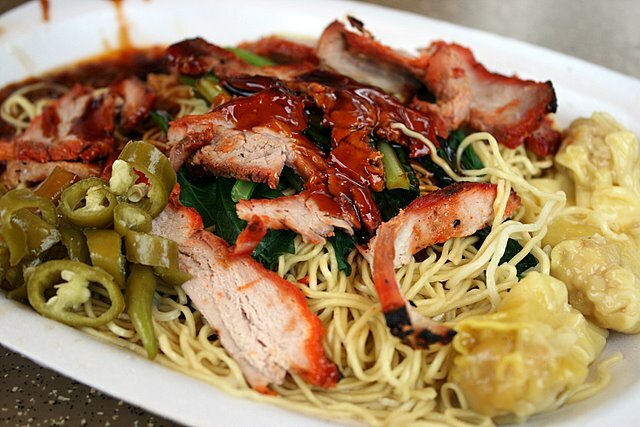 This noodle stall had a neverendinglong queue, as did the boneless duck rice stall. I tried the carrot cake which you did a review on, and it was nice. Thanks for your recmmendations. Really enjoy reading them.